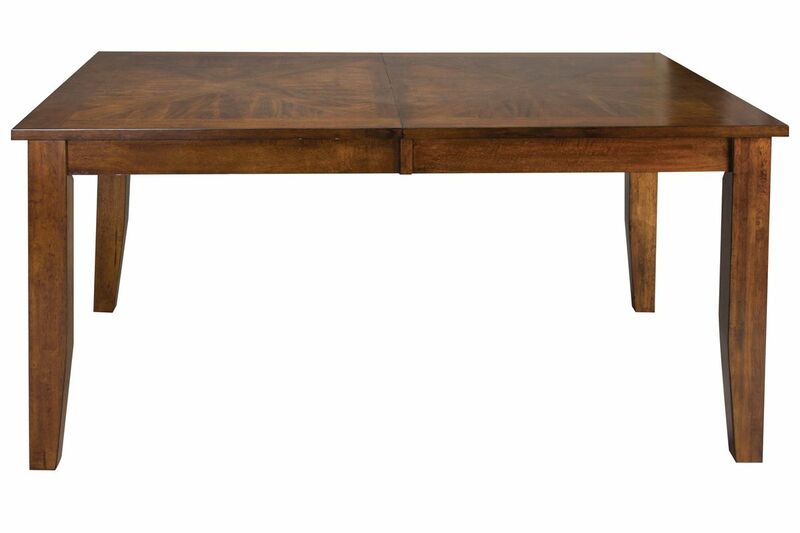 The Lidia Dining Table comes in both standard dining height and gathering height. 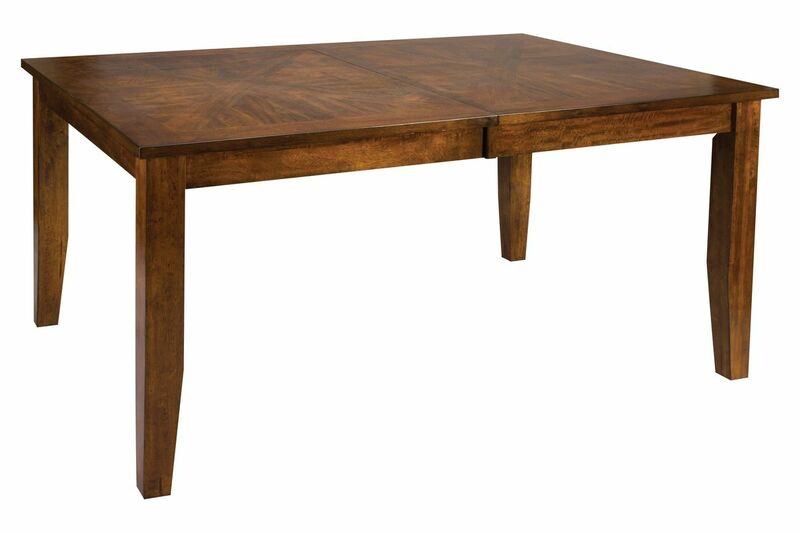 The dining height table comes with an 18" leaf to lengthen the table for guests. 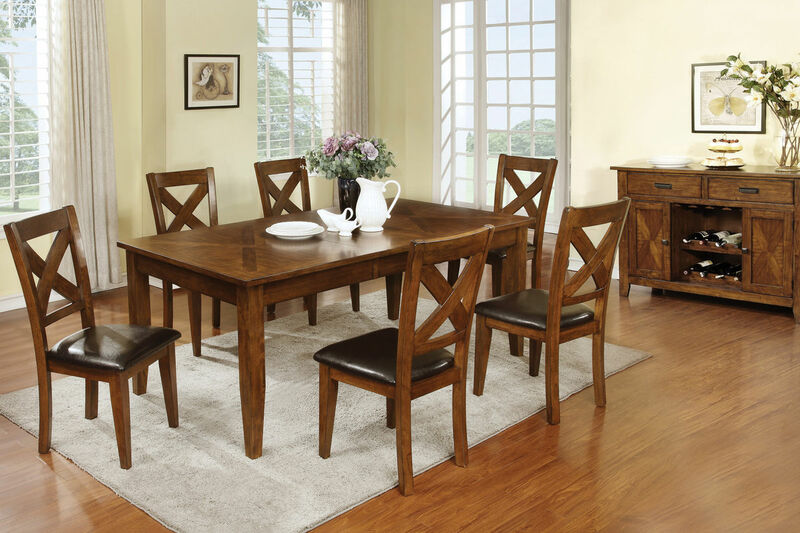 This collection is constructed with a mix of solid woods in a soft brown color.